Plans for a major new housing development and bypass in the south of the Isle of Man have been put out for public consultation. 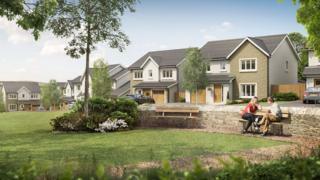 The master plan for 300 new homes and link road in Ballasalla will be exhibited at Malew Parish Commissioner's office on Monday. Developers, the Dandara Group, said company representatives will attend the event to gather "valuable feedback". The project is expected to include a mix of houses with up to four bedrooms. The first phase will include 130 new homes and the bypass, while the second and third phase will add further 170 houses. The site, which lies between Douglas Road and Balthane Industrial Estate in the south of Ballasalla, is zoned for development.